Delivering real-time information about shifts, meals, tea breaks and rosters, a new smart phone app being rolled out nationally by St Ives Home Care will improve safety and efficiency to staff and clients alike. The St Ives Home Care app has been embraced by staff and clients. The Home Care Connect app will save time and provide peace of mind for support workers, their elderly clients and family members by instantly sending information to office-based teams. 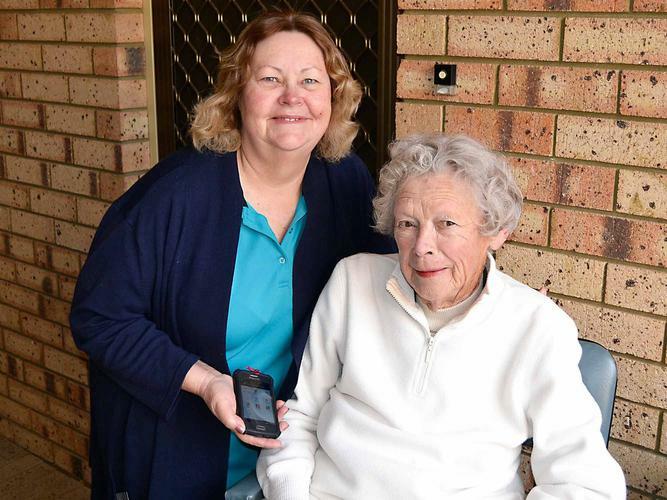 Around 350 support workers have received a Samsung Galaxy smart- phone, pre-loaded with the customised St Ives Home Care app. Eliminating manual paper-based rosters and timesheets, remote working staff can now view a list of their clients at least two weeks in advance and the client’s daily list of the services and tasks. Plus they receive live alerts and roster updates, and can easily record their travel. Staff log into and out of every new shift by scanning a barcode in the client’s home. Information is then sent digitally to the office team, notifying them the staff member has arrived. “If a support worker does not log onto their allocated shift, we know in real time whether they have been involved in an incident or been delayed and can follow up immediately,” explains St Ives Home Care Chief Operating Officer, Michelle De Ronchi. Ms De Ronchi says new technologies like Home Care Connect are providing great ways for providers to overcome some of the issues around delivering healthcare in private homes and Home Care Connect had already been embraced by staff and clients around the country. Additional benefits for staff include instant access to email, GPS and text services. Support workers have also been supplied with Bluetooth capabilities, phone cradles and other equipment to ensure their communications are hands-free while they are on the road. The app will deliver major efficiencies in other areas too; when the Home Care Connect app was trialled in Queensland, staff completed payroll tasks in one hour – something which could take up to three days under the previous paper-based system. “Roster changes could take a couple of days to process and confirm, especially for support workers who do not have email at home. Now, because every person has a smart-phone, we can contact them and process every piece of information through one communication mode,” adds Ms De Ronchi.